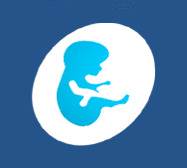 - assist patients and couples in achieving the dream of parenthood, by providing comprehensive and personalized care. At the Fiasconaro & Fiasconaro M.D., P.C. we are fortunate to have a team of highly trained, knowledgeable nurses and medical assistants. Each is dedicated to providing our patients with the highest level of care in a professional and empathetic manner. These clinical team members will provide each patient or couple with an individualized care plan and will help answer any questions our patients have. For any later appointments please call the office.